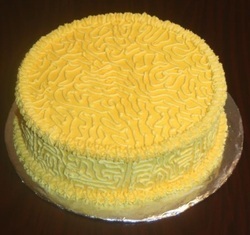 This cake was for a couple of Birthdays, an Anniversary, and to welcome a grandchild for the group that it was made for. This was a 3D Ta ta's cake. 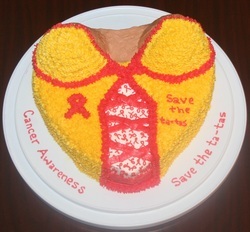 Although this one was a request for cancer awareness this cake can be made to suit any special event.